Caribbean Airlines has dropped the price of their flights from Toronto to Paramaribo, Suriname down to $574 CAD roundtrip including taxes. The flights have 1 stop each way (in Trinidad and Tobago). Every now and then a really great price comes up for a destination that I know is well off the typical tourist radar, but I feel compelled to share it. In this case, it's likely that many wouldn't even know what continent Suriname is located on. John Oliver would have a field day. Suriname is a small country on the northeastern coast of South America. 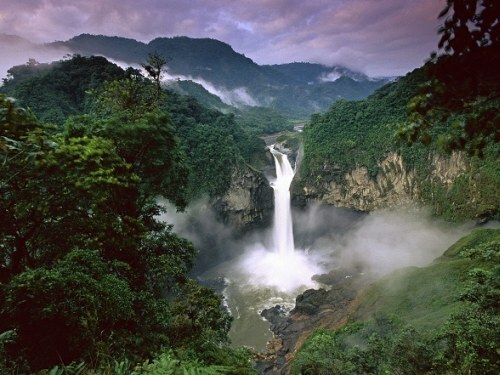 Much of it is covered in tropical rainforest, home to thousands of birds, reptiles, and monkeys. The Raleighvallen Nature Reserve is a popular place for viewing these animals. Paramaribo is the capital of Suriname, and it's historic town center is a UNESCO heritage site. The dry season is from August to November, so if you were to go, you'd probably want to focus on the September, October, and November dates. (for dates beyond October, you need to use Momondo, as Skyscanner's calendar doesn't go that far ahead). Are there Airbnb rentals in Suriname? Yep. 241 of them. It looks like the average cost is around $55 CAD/night. toronto, yyz, flight deals, south america, caribbean airlines, paramaribo, suriname and pbm.